A short story of mine, “The Slickens,” appeared today in the third issue of the Lovecraft eZine. This new web webzine is for fans of H.P. 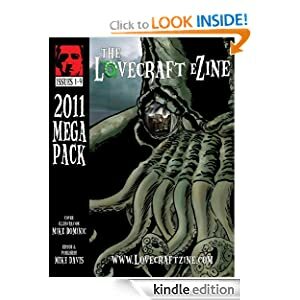 Lovecraft’s work and legacy. Describing itself as “a free online magazine featuring lovecraftian horror,” the website has already nabbed stories by some great authors. The site’s editor/creator, Mike Davis, is bootstrapping together a top notch publication, and best of all he’s paying his writers, which is a rarity anymore. Altogether a class act!